ABSTRACT: Negative responses of biotic communities as trackers of pollutant dispersion has shown that microfaunal distribution can play a useful role in investigating marine coastal ecosystems. 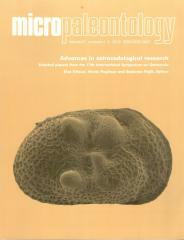 A detailed study was carried out on Ostracoda and benthic foraminiferal assemblages from the contaminated environment of the Ex-Military Arsenal of the La Maddalena Harbour, located on the south-eastern coast of La Maddalena Island (Sardinia, Italy), to investigate the responses to pollution of these micro-organisms in this area using integrated multidisciplinary approaches. The area is affected by industrial waste, mainly heavy metals, as well as by seasonally intense maritime traffic. The analysis of surficial sediment shows enrichment in pollutants including As, Hg, Zn, Cu, Pd, Cd and hydrocarbon (chain length C>12). Variability of the assemblages, population density, species diversity and frequency of deformity suggest that these microorganisms are promising monitoring groups for contaminated marine areas. A total of 28 genera and 42 species of ostracods (three species were found alive; 17 species are autochthonous in at least one sampling station, while 28 are always allochthonous), were collected, while only 9 genera and 16 species of living benthic foraminifera were recognized. The biocoenosis is poorly represented, and shows low values of biotic indices. On the other hand, the foraminiferal thanatocoenosis is diverse and rich, but a high percentage of abnormal tests indicates degraded environmental conditions in almost the entire area. Changes in biotic indices, presence of tolerant species and development of abnormal tests constitute the main responses of Foraminifera and Ostracoda to pollution in the examined area.